The purpose of this article is to provide a general overview to help guide you through the preliminary issues in passport and visa fraud cases because no two cases are identical. Passports and visas are more than just travel documents. They are another means by which individuals are identified as citizens or nationals of a particular country. A passport issued by the United States Department of State identifies the holder of the passport as a citizen or national of the United States. A visa issued by either the Department of State or the Department of Homeland Security identifies the holder of the visa as a citizen of a foreign country who has lawful permission to enter the United States for a specific purpose and a specific period of time. United States, passport holders are subject to an examination, rather than an inspection, when they present themselves for entry into the United States. Two statutes govern passports. False Statement in Application and Use of Passport, 18 U.S.C. § 1542,1 and Misuse of Passport, 18 U.S.C. § 1544,2 relate to passports. Fraud and Misuse of Visas, Permits, and other Documents, 18 U.S.C. § 1546,3 is the only criminal statute which relates to visas. The statutes will be addressed in order below. Two ways exist to violate 18 U.S.C. § 1542, False Statement in Application and Use of Passport. The first is to “willfully and knowingly make any false statement” in a passport application with the goal of having the passport issued when the passport should otherwise not be issued to that applicant.4 The most common situation where a false statement in a passport application occurs is a false claim to U.S. citizenship. Also commonly seen is an individual who assumes the identity of a deceased U.S. citizen, or an individual who acquires the identity of a true living U.S. citizen without the citizen’s consent. 1 18 U.S.C. § 1542 (2012). 2 Id. § 1544. Three ways exist to violate 18 U.S.C. § 1544, Misuse of Passport. The first occurs when a person “willfully and knowingly uses, or attempts to use, any passport issued or designed for the use of another.”17 The perpetrator of this crime is commonly referred to as an “imposter.” An imposter is an individual who is pretending to have the identity reflected in the passport. 5 Id. (including furnishing such a passport “to another for use” as an additional means of committing passport fraud). 6 See id. 8 Id. (referencing § 2331(1)). 14 U.S. SENTENCING GUIDELINES MANUAL § 2L2.2 (a) (U.S. SENTENCING COMM’N 2016) [hereinafter U.S.S.G.]. 15 U.S.S.G, ch. 5, pt. A, Sentencing Table. 16 A passport may be revoked if the “passport has been obtained illegally, fraudulently or erroneously; was created through illegality or fraud practiced upon the Department; or has been fraudulently altered or misused.” 22 C.F.R. § 51.62(a)(2) (2017). Also the Department of State, “may revoke a passport when the Department has determined that the bearer of the passport is not a U.S. national, or the Department is on notice that the bearer’s certificate of citizenship or certificate of naturalization has been canceled.” 22 C.F.R. § 51.62(b) (2017). 17 18 U.S.C. § 1544 (2012). 18 Id. 19 8 U.S.C. § 1481(a)(2) (2012). 20 Id. § 1481(a)(3). 22 See id. § 1481(a)(5)–(6). 23 See id. § 1481(a)(7). 24 22 C.F.R. § 51.60(a)(1) (2017). 26 Id. § 51.60(a)(3) (referencing 26 U.S.C. § 7345 (Supp. III 2015)). 27 Id. § 51.60(a)(4) (citing 22 U.S.C. § 212b(c)(1) (Supp. III 2015) and noting additional requirements under 22 U.S.C. § 212b). 30 See Id. § 51.60(b)(1), (8)–(9). Sub-section (1) concerns federal arrest warrants; (8) is for the Armed Services; and (9) is for state or local warrants. See id. and designed.”35 This section would apply to an individual who loans the passport to another person. Circumstances also exist where it may apply to individuals who are producing fraudulent passports. Multiple ways exist to violate this statute. It appears that the authors of the statute took the two passport statutes, 18 U.S.C. §§ 1542 and 1544, and mashed them together into one long paragraph while adding new ways to violate the law. I will do my best to untangle and identify the potential violations. 35 18 U.S.C. § 1544 (2012). 36 See id. (citing id. § 2331). 36 Id. 40 Id. § 1546(a). 41 Id. 50 Id. (referencing 28 U.S.C. § 1746 (2012)). 51 Id. 52 Id. (referencing id. § 2331) 53 Id. 56 Id. § 1546(b) (referencing 8 U.S.C. § 1324a(b) (2012)). 57 Id. When evaluating a case for potential prosecution, some basic starting points will assist going forward. Defining the prosecution team and the particular facts as they pertain to the investigation, and identifying any supporting evidence during the early stages of reviewing a case, are essential for a successful prosecution. United States, Department of State, United States, Customs and Border Protection, United States, Border Patrol, Homeland Security Investigations, and perhaps state and local law enforcement agencies. Regardless of which agencies comprise the team, having the cooperation of all agencies involved is a key component to obtaining a successful resolution. After defining the team, one must turn to the facts of the particular case. A myriad of facts exist in evaluating a case. One such fact to determine is the type of document in question. If the document in question is a U.S. passport, then sections 1542 and 1544 may apply. If the document is a nonimmigrant visa (NIV) or other travel document, then section 1546 may apply. The location of the alleged criminal act is important. Numerous locations exist where an individual might commit any of the aforementioned crimes. A false statement in an application commonly occurs at an acceptance agency.61 These cases can also occur directly with the United States, Department of State at a Passport Center. 61 An acceptance agency is any entity approved by the U.S. Department of State to accept passport applications. See U.S. DEP’T OF STATE, BUREAU OF CONSULAR AFFAIRS, What Is a Passport Acceptance Facility?, U.S. PASSPORTS & INTERNATIONAL TRAVEL (last visited May 8, 2017). The two most common are the U.S. Post Office and the state Clerk of the Court. 63 See U.S. DEP’T OF STATE, BUREAU OF CONSULAR AFFAIRS, Passport Card, U.S. PASSPORTS & INTERNATIONAL TRAVEL (last visited May 8, 2017). 62 See id. (noting that the passport card also covers travel by sea and allows entrance into the United States from the Caribbean and Bermuda). 63 See 22 C.F.R. § 51.20 (2017); see also supra notes 4 and 14 and accompanying text. 64 See 22 C.F.R. § 51.28 (2017). 65 See Acceptable Proof of Identity for Passport Applications, U.S. PASSPORT SERVICE GUIDE (last visited May 8, 2017). 66 See Acceptable Proof of U.S. Citizenship for New Passport Applications, U.S. PASSPORT SERVICE GUIDE (last visited May 8, 2017). Similarly, when applying for a visa, applicants must prove their identity, that they are foreign nationals, and that they are otherwise qualified to possess the visa.81 They must swear to the veracity of their statements and qualifications before submitting their application.82 Visa fraud can also occur in multiple different places, such as during a field encounter with law enforcement, during the online application process, at a United States Embassy, or at a Consulate. 67 See Secondary Proof of Citizenship, U.S. PASSPORT SERVICE GUIDE (last visited May 8, 2017). 69 U.S. DEP’T OF STATE, BUREAU OF CONSULAR AFFAIRS, Director of Visa Categories, U.S. VISAS (last visited May 8, 2017). 70 U.S. DEP’T OF STATE, BUREAU OF CONSULAR AFFAIRS, Visas for Diplomats and Foreign Government Officials, U.S. VISAS (last visited May 8, 2017). 71 See U.S. DEP’T OF STATE, BUREAU OF CONSULAR AFFAIRS, Visitor Visa, U.S. VISAS (last visited May 8, 2017). 72 See U.S. DEP’T OF STATE, BUREAU OF CONSULAR AFFAIRS, Student Visa, U.S. VISAS (last visited May 8, 2017). 73 See U.S. DEP’T OF STATE, BUREAU OF CONSULAR AFFAIRS, Visas for Victims of Criminal Activity, U.S. VISAS (last visited May 8, 2017). 74 See U.S. DEP’T OF STATE, BUREAU OF CONSULAR AFFAIRS, Directory of Visa Categories, U.S. VISAS (last visited May 8, 2017). 75 See supra note 69. 76 See 22 C.F.R. § 42.67(a) (2017). 78 See supra note 45 and accompanying text. 80 22 C.F.R. § 51.28(a)–(c) (2017). (covering minors under the age of sixteen in subsection a, minors over sixteen in subsection b, and all minors in subsection c). 81 See supra note 77. 83 U.S. DEP’T OF STATE, BUREAU OF CONSULAR AFFAIRS, Visa Types, APPLY FOR A U.S. VISA IN INDIA (last visited May 8, 2017). 84 See U.S. DEP’T OF STATE, BUREAU OF CONSULAR AFFAIRS, Forms, U.S. VISAS (last visited May 9, 2017). 88 See 18 U.S.C. § 1546(a) (2012). 89 See U.S. DEP’T OF STATE, BUREAU OF CONSULAR AFFAIRS, Visas for Diplomats and Other Foreign Officials, U.S. VISAS (last visited May 9, 2017). 92 See Convention on Privileges and Immunities of the United Nations art. 5, § 19, Feb. 13, 1946, 21 U.S.T. 1418, T.I.A.S. No. 6900. 93 See U.S. DEP’T OF STATE, OFFICE OF FOREIGN MISSIONS, DIPLOMATIC AND CONSULAR IMMUNITY 17-19. 94 See U.S. DEP’T OF JUSTICE, U.S. ATTORNEYS’ MANUAL § 1-13.120 (2011). 95 U.S. DEP’T OF STATE, BUREAU OF CONSULAR AFFAIRS, Visitor Visa, U.S. VISAS (last visited May 9, 2017). 96 See 8 U.S.C. §§ 1201, 1202 (2012 & Supp. III 2015). 97 U.S. DEP’T OF STATE, BUREAU OF CONSULAR AFFAIRS, Border Crossing Card, U.S. VISAS (last visited May 9, 2017). As one can see, many ways exist for someone to violate or improperly possess a visa. Each case will take time and effort to untangle and gather the necessary evidence to bring about a conviction. 101 U.S. DEP’T OF STATE, BUREAU OF CONSULAR AFFAIRS, Visitor Visa, U.S. VISAS (last visited May 9, 2017). 102 U.S. DEP’T OF STATE, BUREAU OF CONSULAR AFFAIRS, Crewmember Visa, U.S. VISAS (last visited May 9, 2017). 103 Id. 104 U.S. DEP’T OF STATE, BUREAU OF CONSULAR AFFAIRS, Treaty Trader & Investor Visa, U.S. VISAS (last visited May 9, 2017). 108 See U.S. DEP’T OF STATE, BUREAU OF CONSULAR AFFAIRS, Student Visa, U.S. VISAS (last visited May 9, 2017). 109 Id. When evaluating the case, many documents will assist in either proving or disproving the veracity of the statements contained in the application process. Through working closely with the agents, it is helpful to obtain a properly certified birth record for true identity, a certified copy of the death certificate (if appropriate), marriage or divorce decree, prior passport application(s), prior visa application(s), school records, property records, certified conviction records, motor vehicle records, and, perhaps, immigration records. After identifying the documents and deciding to accept prosecution, I strongly recommend obtaining certified copies of these documents. The sooner one obtains the documents, the sooner one can identify and begin to work through any evidentiary issues. Once satisfied that sufficient documentation exists to support the alleged criminal conduct, one needs to be able to introduce the documents into evidence. The documents used in these prosecutions can be both foreign and domestic public records. In addition to other applicable rules of evidence, i.e. relevance and prejudice, Federal Rules of Evidence Rules 803,112 902,113 and 903114 apply to these types of prosecutions. In both passport and visa applications, individuals must prove their citizenship.115 Birth certificates or birth records are commonly used to substantiate the location of an individual’s birth. For a passport, applicants must prove they are citizens of the United States or non-citizen nationals.116 For a visa application, applicants must prove they are citizens of a country other than the United States.117 The easiest way for the applicant to satisfy this requirement is to present a timely filed and validly issued birth certificate or record. In the United States, and in most foreign countries, the government keeps official records of births, marriages, and deaths. This official record-keeping is typically done in the ordinary course of a particular agency’s function within the government and in compliance with a legal duty.118 Therefore, these documents are usually admissible, using what many refer to as the “Public Records Exception.”119 Provided the document comports with the requirements of Rules 401120 and 403,121 Rule 803(8) is commonly used to establish the evidentiary foundation for the admission of the document. 112 FED. R. EVID. 803. 113 FED. R. EVID. 902. 114 FED. R. EVID. 903. 115 See supra notes 66 and 96. 116 Passport Requirements: What It Takes to Get an American Passport, U.S. PASSPORT SERVICE GUIDE (last visited May 9, 2017). 117 See supra note 96. 118 FED. R. EVID. 803(6), (8)–(9). 119 See id. 120 FED. R. EVID. 401. 121 FED. R. EVID. 403. 122 FED. R. EVID. 801. 123 FED. R. EVID. 801(c)(1)–(2). 124 FED. R. EVID. 803(6). Certified domestic documents of regularly conducted activity are admissible provided they meet the requirements of Rule 803(6)(A)–(C), above.126 The certification from the custodian or other qualified person must comply with a federal statute or rule as set forth by the Supreme Court.127 Finally, the party seeking to offer the certified document during a hearing must give the opposing party written notice of the intent to seek admission of the record, and make the certification available for inspection.128 The opposing party needs a fair opportunity to make any challenge it deems appropriate.129 If the government is offering the certified record, then the ongoing disclosure obligations should be coupled with either an email or letter stating the government’s intent to offer the document at a hearing. Certain situations may exist where a marriage is not required to be reported to the government but where a marriage certificate is still created at, or near, the time of the event.130 Baptismal records are typically kept with the religious entity where the ceremony occurred not with the government. Both records may be admissible into evidence provided they comply with the requirements of Rule 803(12).131 Rule 803(9) relates to “public records of vital statistics,”132 and Rule 803(12) relates to “certificates of marriage, baptism, and similar ceremonies.”133 These are the rules by which the certified birth record of the defendant may be introduced into evidence. These rules also provide the means by which the defense would seek to introduce baptismal records. Rule 803(12) is the section where issues tend to arise during the case.134 The timing of the filing of the records is important. The document created closest in time to the event typically becomes the controlling document. This is because not only is the birth record primary evidence of the birth, but typically, there is no other contradicting document preceding its issuance. For example, if a person has a birth record indicating a date of birth as January 1, 1947, in Hermosillo, Mexico, and the record is filed on February 8, 1947, this document would be considered “timely filed in Mexico.” Therefore, logic would provide that the birth record becomes the controlling document to establish details of the individual’s birth. 125 FED. R. EVID. 803(6)(A)–(C). 126 FED. R. EVID. 902(11). 130 FED. R. EVID. 803(12). 132 FED. R. EVID. 803(9). 133 FED. R. EVID. 803(12). 135 Mah Toi v. Brownell, 219 F.2d 642, 644 (9th Cir. 1955). Rule 803(12)(C) sets a vague time frame for the filing of a document recording a marriage, baptism, or similar ceremony, as it merely requires that the document must “purport to have been issued at the time of the act or within a reasonable time after it.”138 The phrase “within a reasonable time after it” comes into play where the defense makes arguments that the baptismal certificate is more “accurate” or “reliable” than the birth certificate, usually when there is no birth record to substantiate the defense theory. Focusing on the document which is the primary evidence of birth, i.e. a timely filed birth record, is crucial. Most governments have requirements for the filing of birth records. One could argue, because a government has these filing requirements for birth registrations, that the documents are more reliable. Additionally, a newborn child is highly unlikely to formulate such a plan for the purpose of fraudulently obtaining a U.S. passport. When following the chronology of the defense attempts to legitimize the defendant’s fraudulent home birth, the filing of the documents usually tells a story that tends to show the defendant’s willful and knowing actions of attempting to fraudulently obtain either the passport or visa. When dealing with a certified foreign document for regularly conducted activity, the document must first meet all the requirements of Rule 902(11),144 with one slight modification to the certification: the certification “must be signed in a manner that, if falsely made, would subject the maker to a criminal penalty in the country where the certification [was] signed.”145 Typically, requesting an “apostille” copy of the birth record will satisfy this requirement. 136 United States v. Casares-Moreno, 122 F. Supp. 375, 377 (S.D. Cal. 1954) aff’d, 226 F.2d 873 (9th Cir. 1955). 137 See id. 138 FED. R. EVID. 803(12)(C). 139 FED. R. EVID. 902(3), (12). 140 FED. R. EVID. 903. 141 FED. R. EVID. 902(3). 143 See, e.g., United States v. Vidrio-Osuna, No. 05-50224, 2006 WL 1765764, at *1, 198 F. App’x 582, 583 (9th Cir. 2006). 144 FED. R. EVID. 902(11). 145 FED. R. EVID. 902(11)–(12). 146 See U.S. DEP’T OF STATE, BUREAU OF CONSULAR AFFAIRS, About Us, TRAVEL.STATE.GOV (last visited May 10, 2017). 147 See 22 C.F.R. § 172.4(b), (c) (2017). writing in the format provided.148 This request includes all testimony. The memorandum requesting testimony should be electronically submitted. Once submitted, Consular Affairs personnel will review the request and send a reply.149 Typically, the agencies can work out an amicable resolution regarding witness testimony. Either the prosecuting Assistant United States Attorney or the Diplomatic Security Special Agent can submit the memo. A practical tip: one should request a certified copy of any possibly needed document early in one’s case preparation. Also, when requesting testimony, one should be sure to allow sufficient time for the Department of State to review the request. United States and, therefore, was not registered at the time of birth. Also, some defendants may assert that they were brought over to the United States at a young age and have always thought they were U.S. citizens. 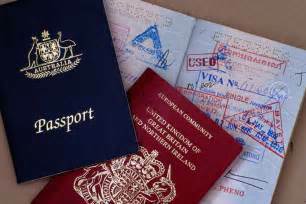 Some may even claim dual citizenship but lack sufficient documentation to substantiate their claim. To show requisite intent at the time the defendant executed the application for either the passport or visa, proving the true identity in the passport or visa is crucial. Many times the owner of the true identity is unaware that the identity has been compromised. Often, the defendant assumes the identity of a deceased individual. Fingerprints from both the defendant and the owner of the true identity can assist in confirming identity. Good, old-fashioned police work pays dividends. Interviewing the owner of the true identity, the owner’s family members and friends, and even searching public records are gold mines for information. If these individuals are willing to provide statements or give testimonies, such help will only strengthen the case. It is my experience in these situations that the owner of the true identity or the owner’s family is willing to assist in the investigation. 148 See id. § 172.5(a). 149 See id. § 172.4(b), (c). 152 United States v. Alfang Ye, 808 F.3d 395, 399 (9th Cir. 2015). 150 Id. (emphasis omitted) (quoting Browder v. United States, 312 U.S. 335, 341 (1941)). 151 See, e.g., 28 PA. CODE § 1.1 (West, Westlaw through 2017 47 Pa. Bull. 27) (requiring certificate within ten days of birth); FLA. STAT. ANN. § 382.013 (West, Westlaw through 2017 First Regular Session of the Twenty-Fifth Legislature) (requiring certificate to be filed within five days of birth). discrepancy in their stories because it may become important later in the case. Additionally, if any legal proceedings occurred, obtaining the entire file, including transcripts from the court, can be helpful in proving that at the time of the application the defendant knowingly lied. In visa fraud cases, each visa classification will present different defenses. Some common defenses include arguing that the defendant is really the person who possesses the document, despite failing to resemble the photograph contained in the visa. Some defendants may claim that they did not know the visa was fake, and others may claim that they are actually the proper possessor of the visa. Possession of a visa beyond its expiration is also potentially subject to prosecution.152 In addition, using a visa for something other than its permitted use is potentially prosecutable.153 For example, an individual who possesses an A-2 visa and travels on the visa while facilitating alien smuggling may be subject to prosecution. Passport and visa fraud charges can be instrumental in the disruption of domestic and international criminal organizations. These criminal organizations rely upon the large number of people who enter the United States on a daily basis not only to further their nefarious activities but also to assist in masking these activities. Because of limited government resources and a large number of travelers, these criminal organizations can use visas and, to some extent, passports to avoid detection. Successful prosecutions of these cases assist in disrupting these criminal organizations. Sometimes an investigation may be progressing, but the prosecutor may be unable to prosecute an individual for possible involvement. For example, there may be an investigation into a narcotics trafficking organization. During the investigation, an individual is identified as being the person who transports either narcotics or bulk currency for the organization. However, law enforcement is unable to catch this individual with either narcotics or bulk currency. Nevertheless, this same person may possess a nonimmigrant visa obtained by fraud. The fraud would likely arise when swearing or affirming the purpose of the applicant’s travel; after all, narcotics trafficking is not a permitted purpose for a visa. A successful prosecution for visa fraud, pursuant to 18 U.S.C. § 1546,154 may be a means to disrupt the international criminal organizations. A couple of the collateral consequences for this conviction are the possible removal of this individual from the United States and the individual’s being ineligible for another visa. A careful review of the particular facts and circumstances of each case may lead to additional charges. Those alternative or companion charges may include aggravated identity theft (18 U.S.C. § 1028A),155 false claims to citizenship (18 U.S.C. § 911),156 false statements (18 U.S.C. § 1001),157 and illegal re-entry after deportation (18 U.S.C. § 1326).158 These criminal charges may permit you to more easily introduce additional evidence that tends to prove the defendant’s knowing and willful false statement. 152 See supra note 85 and accompanying text. 153 See generally 18 U.S.C. § 1546 (2012). 154 Id. 158 8 U.S.C. § 1326 (2012). Prosecutions for passport and visa fraud may not be the most high-profile prosecutions and may not result in a headline where the defendant received a significant term of imprisonment. They are, however, a valuable tool to use when protecting our nation from threats, both foreign and domestic, and attempting to disrupt international criminal organizations. The collateral consequence of losing the privilege to enter the United States is a powerful tool to assist in furthering this goal. ❏ Matthew Eltringham is an Assistant United States Attorney assigned to the Organized Crime Drug Enforcement Taskforce (OCDEFT). He has fourteen years of trial experience, seven with the United States Attorney’s Office in the District of Arizona, and seven as an Assistant District Attorney in Pennsylvania.